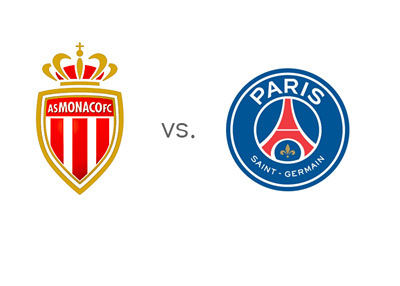 The number two and number one in French Ligue 1, AS Monaco and Paris Saint-Germain, are meeting on Sunday, February 9th, 2014 at Stade Louis II. Monaco took a big hit when they lost Radamel Falcao to ligament injury couple of weeks ago. Their star striker is out for the season, so the club went and signed the experienced Bulgarian international, Dimitar Berbatov, as his replacement. After beating Marseille 2-0 at home, Monaco most recently drew with Lorient 2-2. The upcoming game vs. PSG is a big chance for 'Les Rouge et Blanc' to try and narrow the gap at the top. With fourteen games to go, PSG are five points ahead of Monaco in the standings. A win for Zlatan Ibrahimovic and his teammates on Sunday could mean that the league season is pretty much over. PSG most recently beat Nantes 1-2 in the Coupe de la Ligue to claim their spot in the finals. In the league game before, PSG beat Bordeaux 2-0 at home. The new arrival, midfielder Johan Cabaye, came in as a substitute in the last two games. It will be interesting to see more of him in the PSG colors over the coming weeks. Edinson Cavani, who is reportedly shopping for a new club in England, is out for three weeks with a thigh injury. The guests are the favourites to win. Earlier in the season, in Paris, the score was 1-1. The odds of Zlatan Ibrahimovic scoring are 21/20. The odds of Monaco striker, Emmanuel Riviere, scoring are 15/8. Lavezzi is at 15/8 and Berbatov is at 11/5. Should be a good game. A potential season decider. The kick off is at 9pm local time. Enjoy!